As Canada 150 celebrations ramp up across the country, Indigenous artists have complex and varied feelings about the anniversary. Some see it as an opportunity to tell their side of the story, others see the very act of participation as a betrayal of their people. As Canada 150 celebrations extol the glory of Canada's past and present, one group of artists is not so quick to join the party. Indigenous artists view the sesquicentennial with mixed feelings, with some using it as a platform to tell their peoples' side of the story, and others opting to boycott the celebrations altogether. "People come out and want to hear all these stories about Canada, and sometimes they don't want to take the bad with the good," says Vancouver-based playwright and composer Corey Payette, whose new musical, Children of God, tells the story of Cree children in residential schools. Payette, who is of Oji-Cree background, sees Canada 150 as an opportunity to tell his side of history to a larger audience. His musical is produced in collaboration with the National Arts Centre, and will be shown as part of the Centre's 150 program in Ottawa. "For me it's about educating non-Indigenous people, educating mainstream audiences, on what would this have been like if this had been your child? What would that have done to your family and the future of their children and the intergenerational trauma of that?" But photographer Nadya Kwandibens feels the only right way to respond to Canada 150 is to boycott it. 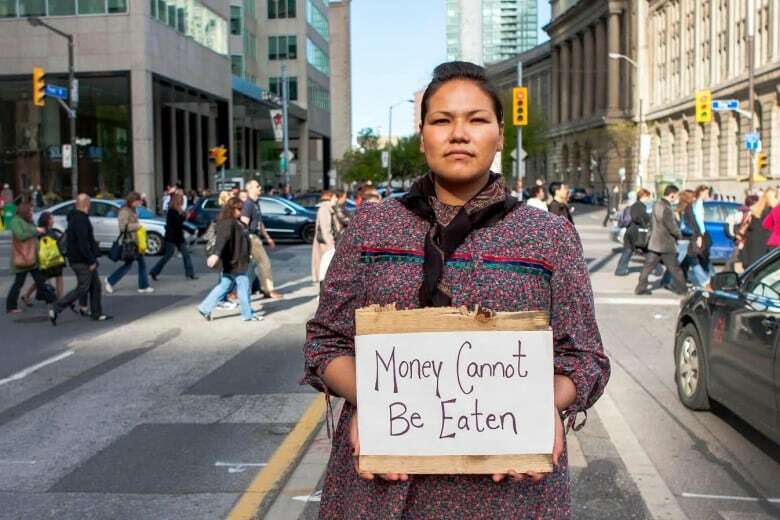 "The way I see it is, these celebrations are a celebration of colonialism and, as an Indigenous person, I'm choosing not to celebrate colonialism," said Kwandibens in an interview with CBC News from her home on Animakee Wa Zhing First Nation in northwestern Ontario. Her photos are positive, empowering images of young Aboriginal professionals thriving in urban centres and of elders teaching children. But Kwandibens doesn't want to see them used in the context of Canada 150. "I think seeing my portrait work, some people may feel compelled to use my photography and associate it with Canada's happy reconciled First Nations," said Kwandibens. "I just don't think it's fair for that to happen without first my consent, which I would never allow." The notion of reconciliation between First Nations and Canada's European settlers, which the government has designated as one of the official themes of Canada 150, troubles some Indigenous artists. But Anishinaabe comedian Ryan McMahon says the reconciliation is not quite complete. The problems facing First Nations Canadians are not just in the past, but a living reality for many, he says. 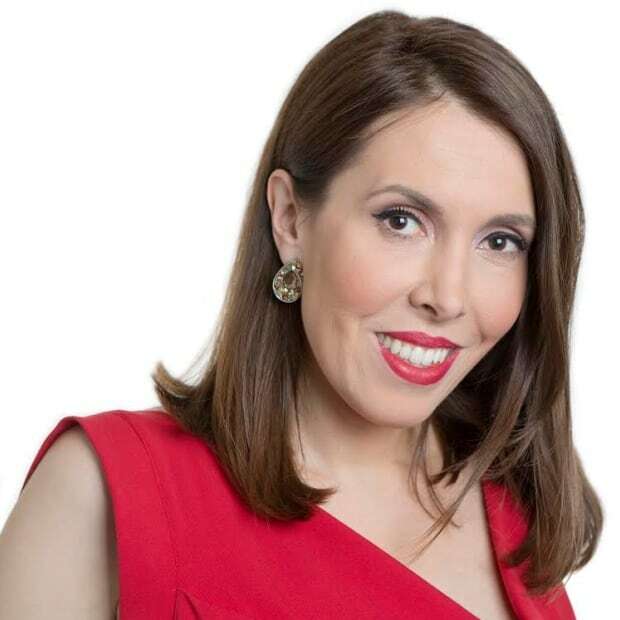 "There's a national inquiry in missing and murdered Indigenous women, youth suicide, over 100 communities with boil drinking water advisories," said McMahon in an interview with CBC News on the release of the documentary he hosted, Colonization Road. "Canada's 150th birthday party started on New Year's Eve. They wasted no time in shooting off the fireworks and telling the world how great this place was." As of now, he won't be partaking in any Canada 150 celebrations "Is it OK to go eat hot dogs and paint your face? it's up to you. I'm not going to." But he says if a major organization allowed him an uncensored performance in front of a large Canada 150 audience, he'd do it. "If I'm at the National Arts Centre and there's 1,800 privileged people that can afford $130 ticket to go to NAC on an evening to watch me do stand-up comedy to gently spank them about the past 150 years, then I'm in." Artist Kent Monkman agrees. He's been "gently spanking" his audiences for years now, creating provocative artwork that mocks the traditional Euro-centric perception of Indigenous people. 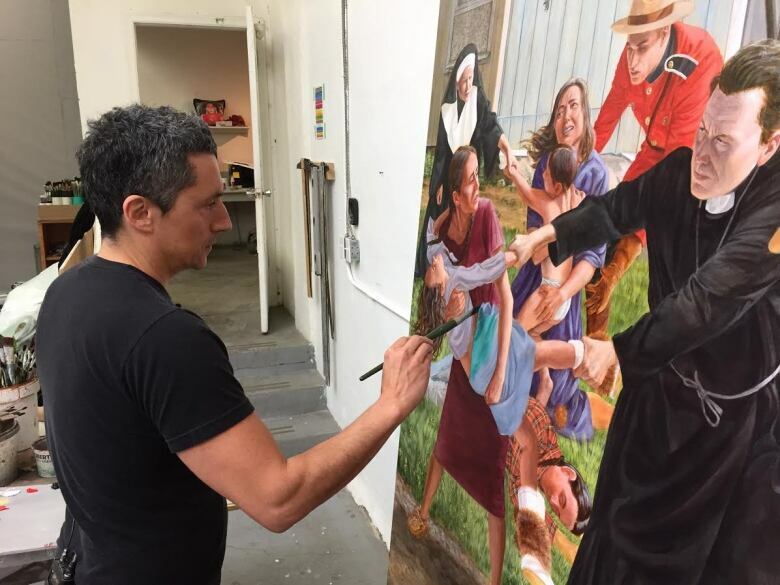 His new exhibit, Shame and Prejudice, continues on that mission, but he feels the message is especially powerful given the spotlight of Canada 150. Flanked by a large canvas depicting children being torn from their mothers' hands to be sent to residential schools, and a cheeky diorama of a mannequin bearing his own face decked out in a Chicago Blackhawks jersey, Monkman called his exhibit "a critical perspective on Canada 150." He said he understands Indigenous artists who just want to opt out of any associations with Canada 150, but that wasn't the right choice for him. "I'm one voice representing one perspective, but I felt to not say anything would really miss this opportunity for people to really reflect on the experience of Indigenous people," said Monkman. And despite the horror of historical events depicted on many of his canvases, Monkman hopes the exhibit provides an education about who Canada's First Nations are today. "I want people to come out of this with a better understanding about Indigenous people and how we are resilient and we will continue to make an effort to participate and thrive in this country."